Area: Total: 2,381,740 sq. km. Land — 2,381,740 sq. km. ; water — 0 sq. km. More than three times the size of Texas. Cities: Capital: Algiers; Oran, Constantine, Annaba. Terrain: Mostly high plateau and desert; some mountains; narrow, discontinuous coastal plain. Mountainous areas subject to severe earthquakes, mud slides. Climate: Arid to semiarid; mild, wet winters with hot, dry summers along coast; drier with cold winters and hot summers on high plateau; a hot, dust/sand-laden wind called sirocco is especially common in summer. Land use: Arable land: 3%; permanent crops — 0%, permanent pastures — 13%; forests and woodland — 2%. Nationality: Noun — Algerian(s); adjective — Algerian. Population (January 2011 Algerian Government est. ): 36.3 million. Annual population growth rate (2010 est. ): 1.177%. Birth rate (2010 est.) — 16.71 births/1,000 population; death rate (2010 est.) — 4.66 deaths/1,000 population. Education: Literacy (age 15 and over can read and write) — total population 69.9% (2004 est. ); female 60.1% (2004 est. ); male 79.6%. Health (2010 est. ): Infant mortality rate — 26.75 deaths/1,000 live births. Life expectancy at birth — total population 75.26 years; male 72.57 years; female 76.04 years. Unemployment rate: (2010 est.) 30%; (February 2011, Algerian Government est.) 10%. Legal system: Based on French and Islamic law; judicial review of legislative acts in ad hoc Constitutional Council composed of various public officials, including several Supreme Court justices; Algeria has not accepted compulsory International Court of Justice (ICJ) jurisdiction. Agriculture: Products: wheat, barley, oats, grapes, olives, citrus, fruits; sheep, cattle. Industry: Types: petroleum, natural gas, light industries, mining, electrical, petrochemical, food processing, pharmaceuticals, cement, seawater desalination. Sector information as percentage of GDP (2010 est. ): Agriculture 8.3%, services 30.2%, industry 61.5%. Trade: Exports (2010): $56.7 billion: petroleum, natural gas, and petroleum products 97.58%. Partners (first 6 months of 2010 est.) — U.S. 22.67%, Italy 13.78%, Spain 10.80%, France 8.83%, Netherlands 5.67%, Canada 5.07%. Imports (2010) — $40.2 billion: capital goods, food and beverages, consumer goods. Partners (first 6 months of 2010) — France 16.57%, China 11.83%, Italy 9.06%, Germany 6.47%, Spain 5.88%, U.S. 5.88%. Budget (2011): Revenues: $41.56 billion; expenditures — $47.69 billion. Debt (external, January 1, 2010): $486 million. Algeria, the second-largest state in Africa, has a Mediterranean coastline of about 998 kilometers (620 mi.). The Tellian and Saharan Atlas mountain ranges cross the country from east to west, dividing it into three zones. Between the northern zone, Tellian Atlas, and the Mediterranean is a narrow, fertile coastal plain — the Tel (hill) — with a moderate climate year round and rainfall adequate for agriculture. A high plateau region, averaging 914 meters (3,000 ft.) above sea level, with limited rainfall, great rocky plains, and desert, lies between the two mountain ranges. It is generally barren except for scattered clumps of trees and intermittent bush and pastureland. The third and largest zone, south of the Saharan Atlas mountain range, is mostly desert. About 80% of the country is desert, steppes, wasteland, and mountains. Algeria's weather varies considerably from season to season and from one geographical location to another. In the north, the summers are usually hot with little rainfall. Winter rains begin in the north in October. Frost and snow are rare, except on the highest slopes of the Tellian Atlas Mountains. Dust and sandstorms occur most frequently between February and May. Soil erosion — from overgrazing, other poor farming practices, and desertification — and the dumping of raw sewage, petroleum refining wastes, and other industrial effluents are leading to the pollution of rivers and coastal waters. The Mediterranean Sea, in particular, is becoming polluted from oil wastes, soil erosion, and fertilizer runoff. There are inadequate supplies of potable water. Nearly all Algerians are Muslim, of Arab, Berber, or mixed Arab-Berber stock. Official data on the number of non-Muslim residents is not available; however, practitioners report it to be less than 5,000. Most of the non-Muslim community is comprised of Methodist, Roman Catholic, and Evangelical faiths; the Jewish community is virtually non-existent. There are about 1,100 American citizens in the country, the majority of whom live and work in the oil/gas fields in the south. Algeria's educational system has grown dramatically since the country gained its independence. Education is free and compulsory to age 16. Despite government allocation of substantial educational resources, population pressures and a serious shortage of teachers have severely strained the system. Modest numbers of Algerian students study abroad, primarily in Europe and Canada. In 2000, the government launched a major review of the country's educational system and in 2004 efforts to reform the educational system began. Housing and medicine continue to be pressing problems in Algeria. Failing infrastructure and the continued influx of people from rural to urban areas have overtaxed both systems. According to the United Nations Development Program, Algeria has one of the world's highest per housing unit occupancy rates, and government officials have publicly stated that the country has a shortfall of housing units. Since the 5th century B.C., the native peoples of northern Africa (first identified by the Greeks as "Berbers") were pushed back from the coast by successive waves of Phoenician, Roman, Vandal, Byzantine, Arab, Turkish, and, finally, French invaders. The greatest cultural impact came from the Arab invasions of the 8th and 11th centuries A.D., which brought Islam and the Arabic language. The effects of the most recent (French) occupation — French language and European-inspired socialism — are still pervasive. North African boundaries have shifted during various stages of the conquests. Algeria's modern borders were created by the French, whose colonization began in 1830. To benefit French colonists, most of whom were farmers and businessmen, northern Algeria was eventually organized into overseas departments of France, with representatives in the French National Assembly. France controlled the entire country, but the traditional Muslim population in the rural areas remained separated from the modern economic infrastructure of the European community. Algerians began their uprising on November 1, 1954 to gain rights denied them under French rule. The revolution, launched by a small group of nationalists who called themselves the National Liberation Front (FLN), was a guerrilla war in which both sides targeted civilians and used other brutal tactics. Eventually, protracted negotiations led to a cease-fire signed by France and the FLN on March 18, 1962, at Evian, France. The Evian Accords also provided for continuing economic, financial, technical, and cultural relations, along with interim administrative arrangements until a referendum on self-determination could be held. Over 1 million French citizens living in Algeria at the time, called the pieds-noirs (black feet), left Algeria for France. Despite efforts to restore the political process, violence and terrorism dominated the Algerian landscape during the 1990s. In 1994, Liamine Zeroual, former Minister of Defense, was appointed Head of State by the High Council of State for a 3-year term. During this period, the Armed Islamic Group (GIA) launched terrorist campaigns against government figures and institutions to protest the banning of the Islamist parties. A breakaway GIA group — the Salafist Group for Preaching and Combat (GSPC) — also undertook terrorist activity in the country. Government officials estimate that more than 150,000 Algerians died during this period. The April 8, 2004, presidential election was the first election since independence in which several candidates competed. Besides incumbent President Bouteflika, five other candidates, including one woman, competed in the election. Opposition candidates complained of some discrepancies in the voting list; irregularities on polling day, particularly in Kabylie; and of unfair media coverage during the campaign as Bouteflika, by virtue of his office, appeared on state-owned television daily. Bouteflika was re-elected in the first round of the election with 84.99% of the vote. Just over 58% of those Algerians eligible to vote participated in the election. In November 2008, the parliament adopted a set of constitutional amendments that included a removal of presidential term limits. The parliament approved the proposed amendments by a wide margin with minimal debate. President Bouteflika won a third term in the April 9, 2009, elections with, officially, 90.2% of the vote. Opposition members again complained of unfair media coverage and irregularities during voting, and some parties boycotted the vote. The head of state and of government is the president of the republic. The president, elected to a 5-year term, is the head of the Council of Ministers and of the High Security Council. He appoints the prime minister as well as one-third of the upper house of parliament (the Council of the Nation). The Algerian parliament is bicameral, consisting of a lower chamber, the National People's Assembly (APN), with 389 members and the upper chamber, the Council of the Nation, with 144 members. The APN is elected every 5 years. Legislative elections for the APN were held in May 2007. Two-thirds of the Council of the Nation is elected by regional and municipal authorities; the rest are appointed by the president. The Council of the Nation serves a 6-year term with one-half of the seats up for election or reappointment every 3 years. Either the president or one of the parliamentary chambers may initiate legislation. Legislation must be brought before both chambers before it becomes law, but this cannot happen without the support of the presidency. If the APN vetoes legislation, it must technically be dissolved. Sessions of the APN are televised. Addressing the underlying issues that brought about the political turmoil of the 1990s remains the government's major task. The Algerian Government in recent years has espoused free-market competition and participatory democracy, stating that it will continue to open the political process and encourage the creation of political institutions. In January 2011, riots sparked by increases in staple food prices spread across 24 of Algeria's 48 provinces. A fledgling political opposition coalition failed to garner widespread public support, and the government prevented the group from staging weekly marches in Algiers. In February the government lifted the state of emergency that had been in effect since 1992. Beginning in March and extending through mid-April 2011, dozens of sectoral groups staged protests and sit-ins in public spaces and in front of government ministries in Algiers, demanding higher wages, improved benefits, and better working conditions. 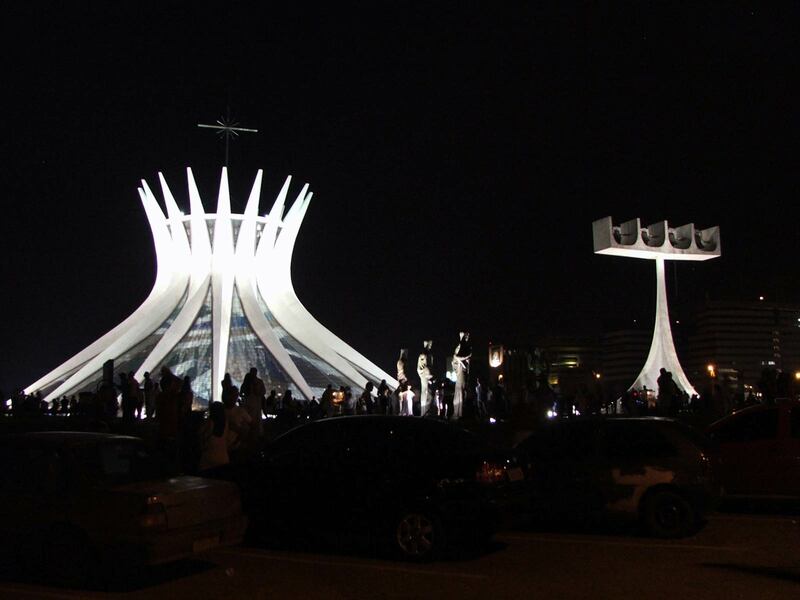 Most of the protests remained peaceful and ended after the government agreed to meet most demands. In April, President Bouteflika gave a speech promising sweeping political reforms. By January 2012, the government had enacted new laws on elections, political parties, female participation in politics, associations, and the media. Elections for the National Assembly will be held in spring 2012. The next presidential elections are scheduled for 2014. Algeria has more than 45 daily newspapers published in Arabic and French, with a total circulation of more than 1.5 million copies. There are 20 domestically printed weekly publications with total circulation of 622,000 and 11 monthly publications with total circulation of 600,000. Algerian newspapers are widely seen to be among the freest in the region, although editors of major Arabic- and French-language print dailies often complain of the government's reluctance to share information, grant interviews, or relax its defamation law. In 2001, the government amended the Penal Code provisions relating to defamation and slander, a step widely viewed as an effort to rein in the press. While the Algerian press is relatively free to write as it chooses, use of the defamation laws following President Bouteflika's April 2004 re-election victory significantly increased the level of press harassment and, as a result, the press began to censor itself. In July 2006, President Bouteflika pardoned all journalists convicted of defaming or insulting state institutions. The pardon effectively dismissed the charges against 67 people. Critics point out that, according to the criminal code, insulting the president is punishable by prison sentence. Nevertheless, the pardon was widely seen as a significant step toward democracy. The government holds a virtual monopoly over broadcast media. In January 2012, the government enacted a new media law as part of President Bouteflika's democratic reforms that seeks to open up the audio-visual sector to private companies. Terrorist violence in Algeria resulted in more than 150,000 deaths during the 1990s. In the years following Bouteflika's first election, the security situation in Algeria has improved markedly. In September 2005, Algeria passed a referendum in favor of President Bouteflika's Charter for Peace and National Reconciliation, paving the way for implementing legislation that would pardon certain individuals convicted of armed terrorist violence. The Charter, implemented on March 1, 2006, builds upon the Civil Concord and the Rahma (clemency) Law of the late 1990s and shields from prosecution anyone who laid down arms in response to those previous amnesty offers. The Charter specifically excluded from amnesty those involved in mass murders, rapes, or the use of explosives in public places. The window for combatants to receive amnesty expired in September 2006, though its terms may still be applied on a case-by-case basis at the discretion of the Algerian president. 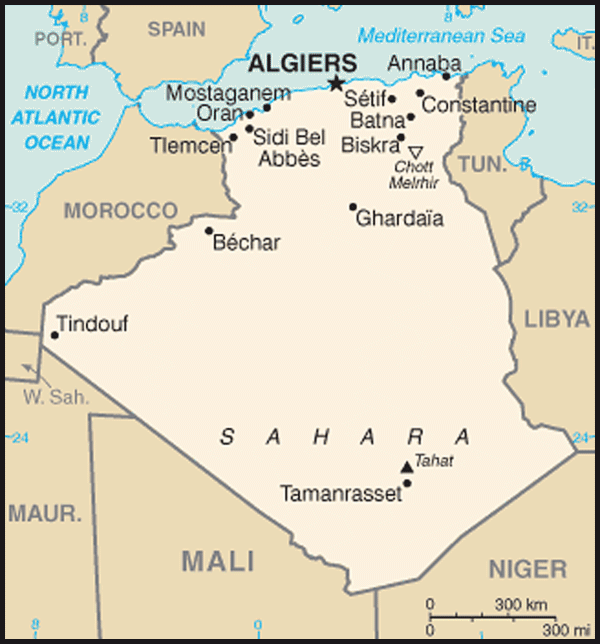 The Charter gained the surrender of a number of moderate Islamists; approximately 2,500 Islamists were released under the Charter, although many may have returned to militant groups in Algeria. The Charter has emboldened more hard-core elements, in particular the Salafist Group for Preaching and Combat (GSPC), which merged with al-Qaida in September 2006, and changed its name in January 2007 to al-Qaida in the Islamic Maghreb (AQIM). Terrorist incidents still occur, particularly in the provinces of Boumerdes, Tizi-Ouzou, and in the remote southern areas of the country. Suicide attacks against a government building and a provincial police station on April 11, 2007 killed over 20 persons. A twin suicide attack on December 11, 2007 destroyed the UN headquarters in Algiers as well as the Constitutional Council, killing at least 60 people according to some accounts. Since that time, Algerian Government counterterrorism operations have greatly limited terrorists' capacity to conduct high-profile attacks, particularly in major Algerian cities. Nevertheless, terrorists continue to carry out lethal operations in towns and rural areas sporadically, using ambushes and roadside bombs against government and civilian targets. Terrorists also occasionally kidnap civilians to obtain ransoms to finance their operations. Population growth and associated problems — unemployment and underemployment, inability of social services to keep pace with rapid urban migration, inadequate industrial management and productivity, and a decaying infrastructure — continue to affect Algerian society. The government began an economic reform program in 1994, focusing on macroeconomic stability and structural reform, which has met with some success in certain sectors. At the start of his third term in office, President Bouteflika announced that his 5-year plan (2009-2014) would include an increase from $120 billion to $150 billion in spending to improve national infrastructure, create three million jobs, and build one million new homes. The hydrocarbons sector is the backbone of the Algerian economy, accounting for roughly 60% of budget revenues, nearly 30% of GDP, and over 97% of export earnings. Algeria is the fourth-largest crude oil producer in Africa. In 2009 Algeria produced 2.13 million barrels per day of oil liquids, of which 1.33 million barrels per day was crude oil. Algeria has the tenth-largest reserves of natural gas in the world and is the sixth-largest gas producer (2008). The country produced 3.05 trillion cubic feet of natural gas in 2008; 69% was exported. Its key oil and gas customers are Italy, Germany, France, the Netherlands, Spain, the United Kingdom, and the United States. U.S. companies have played a major role in developing Algeria's oil and gas sector; of the $5.3 billion (on a historical-cost basis, according to statistics gathered by the U.S. Department of Commerce, Bureau of Economic Analysis) of U.S. investment in Algeria the vast bulk is in the hydrocarbon sector. Faced with declining oil revenues and high-debt interest payments at the beginning of the 1990s, Algeria implemented a stringent macroeconomic stabilization program and rescheduled its $7.9 billion Paris Club debt in the mid-1990s. The macroeconomic program was successful at narrowing the budget deficit and at reducing inflation from near-30% averages in the mid-1990s to almost single digits in 2000. The government reported an inflation rate of 5.7% in 2009 and an economic growth rate of 3.9%. Increases in the production and prices of oil and gas over the preceding decade led to foreign exchange reserves exceeding an estimated $150 billion in 2010. The spike in oil prices at various times in recent years, along with the government's tight fiscal policy and positive trade surpluses based on oil exports, brought foreign exchange reserves to nearly $180 billion (est.) as of January 2012. The Algerian Government has had little success at reducing high unemployment — officially estimated at 10% in February 2011, though international estimates put the figure much higher — or at improving living standards. Policies needed to modernize the economy and increase growth are banking and judicial reform, improving the investment environment, partial or complete privatization of state enterprises, and reducing government bureaucracy. The government has privatized or closed some state-owned enterprises in certain sectors of the economy and allowed joint venture investment in others. The government seeks to diversify the economy by attracting foreign and domestic investment outside the energy sector but announced several economic policies in 2008 and 2009 that would strengthen Algerian Government control over foreign investment projects. Algeria adopted a "complementary finance law" on July 22, 2009, which imposed new restrictions on foreign investment, import companies, and domestic consumer credit. The law requires a minimum of 51% Algerian partnership in new foreign investments, a 30% Algerian partnership in all foreign import companies, and payment of all imports by letters of credit opened by banks. In 2001, Algeria concluded an Association Agreement with the European Union, which was ratified in 2005 by both Algeria and the EU and took effect in September of that same year. The government continues to express interest in working toward accession to the World Trade Organization. Algeria's armed forces, known collectively as the People's National Army (ANP), total 138,000 active members, with some 100,000 reservists. The president serves as Minister of National Defense. Military forces are supplemented by a 60,000-member national gendarmerie, under the control of the president; a rural police force, "communal guard corps," under the authority of provincial governors (who answer to the Ministry of Interior); and a 30,000-member Surete Nationale or Metropolitan Police force under the Ministry of Interior. Algeria is a leading military power in the region and has demonstrated success in its struggle against terrorism. The Algerian military, having fought a decade-long insurgency, has increased expenditures in an effort to modernize and return to a more traditional defense role. Due to historical difficulties in acquiring U.S. military equipment, Algeria's primary military supplier has traditionally been Russia and, to a lesser extent, China; in 2007 and 2008, Algeria made large purchases of advanced weaponry from Russia. In recent years, however, Algeria has begun to diversify its supplies of military equipment to include U.S.-made ISR aircraft and ground radars purchased through direct commercial sales. Algeria has traditionally practiced an activist foreign policy and, in the 1960s and 1970s, was noted for its support of Third World policies and independence movements. Algerian diplomacy was instrumental in obtaining the release of U.S. hostages from Iran in 1981. Since his first election in 1999, President Bouteflika worked to restore Algeria's international reputation, traveling extensively throughout the world. In July 2001, he became the first Algerian President to visit the White House in 16 years. He has made official visits to France, South Africa, Italy, Spain, Germany, China, Japan, Portugal, Russia, the United Kingdom, and Latin American countries, among others, since his inauguration. Algeria has taken the lead in working on issues related to the African continent. Host of the Organization of African Unity (OAU) Conference in 2000, Algeria also was key in bringing Ethiopia and Eritrea to the peace table in 2000. In 2001, the 37th summit of the OAU formally adopted the New Partnership for Africa's Development (NEPAD) to address the challenges facing the continent. In 2006, Algeria negotiated the Algiers Accords between the Malian Government and Tuareg rebel groups and has continued to play an active role in seeking resolution to that conflict. In August 2009, Algeria initiated a regional counterterrorism approach with Mali, Niger, and Mauritania, seeking to increase security cooperation and address the root causes of instability in the region. More recently, Algerians also campaigned publicly for strengthening the international legal regime against ransom payment for terrorist kidnappings, including the call for a UN-sponsored resolution condemning such payments. Since 1976, Algeria has supported the Polisario Front, which claims to represent the indigenous population of Western Sahara. A staunch defender of the Sahrawi right to self-determination under the UN Charter, Algeria has provided the Polisario with support and sanctuary in refugee camps in the southwestern Algerian province of Tindouf. UN involvement in the Western Sahara includes MINURSO, a peacekeeping force, UNHCR, which handles refugee assistance and resettlement, and the World Food Program (WFP). Active diplomatic efforts to resolve the dispute under the auspices of the United Nations Secretary General are ongoing. Algeria's support of self-determination for the Sahrawi is in opposition to Morocco's claim of sovereignty over Western Sahara. The dispute remains a major obstacle to bilateral and regional cooperation, though with the January 2012 visit of Moroccan Foreign Minister Saad Eddine Othmani to Algiers, along with other ministerial exchanges during the past year, relations between Algeria and Morocco may be warming. Although the land border between Morocco and Algeria was closed in the wake of a 1994 terrorist attack in Marrakech, Morocco lifted visa requirements for Algerians in July 2004. Algeria reciprocated by lifting visa requirements for Moroccans on April 2, 2005. Algeria has friendly relations with its neighbors Tunisia and Libya, and with its sub-Saharan neighbors, Mali and Niger. It closely monitors developments in the Middle East and has been a strong proponent of the rights of the Palestinian people, as well as a supporter of Iraq's democratic transition. Algeria has diplomatic relations with more than 100 foreign countries, and over 90 countries maintain diplomatic representation in Algiers. Algeria held a nonpermanent, rotating seat on the UN Security Council from January 2004 to December 2005. Algeria hosted 13 Arab leaders at the Arab League Summit, March 22-23, 2005. In July 2001, President Bouteflika became the first Algerian President to visit the White House since 1985. This visit, followed by a second meeting in November 2001, a meeting in New York in September 2003, and President Bouteflika's participation at the June 2004 G8 Sea Island Summit, was indicative of the growing relationship between the United States and Algeria. Since the September 11, 2001, terrorist attacks in the United States, contacts in key areas of mutual concern, including law enforcement and counterterrorism cooperation, have intensified. Algeria publicly condemned the terrorist attacks on the United States and has been strongly supportive of international counterterrorism efforts. The United States and Algeria consult closely on key international and regional issues. The pace and scope of senior-level visits has accelerated. In April 2006, Foreign Minister Bedjaoui met with Secretary of State Condoleezza Rice, and Secretary Rice visited Algiers in September 2008. Secretary of State Hillary Clinton met with Algerian Foreign Minister Mourad Medelci, along with the Moroccan and Tunisian Foreign Ministers, on the margin of the March 2009 donor conference in Sharm-el-Sheik, Egypt. In April 2010, Attorney General Eric Holder visited Algiers to sign a Mutual Legal Assistance Treaty with Algerian Justice Minister Tayeb Belaiz. In January 2011 Deputy National Security Advisor for Homeland Security John Brennan visited Algiers. Secretary Clinton met with Algerian Foreign Minister Medelci in Washington in May 2011 and January 2012. The United States is Algeria's top trading partner, accounting for nearly 25% of exports, mostly in the hydrocarbons sector. 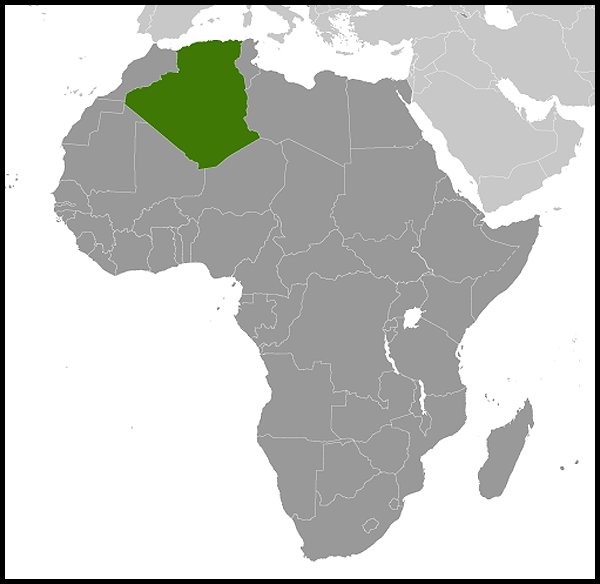 Algeria is the United States' second to third-largest trading partner in the Middle East/North African region. U.S. exports to Algeria totaled $1.126 billion in 2010, and U.S. imports from Algeria reached $13.29 billion in 2010, primarily in the form of crude oil. In July 2001, the United States and Algeria signed a Trade and Investment Framework Agreement, establishing common principles on which the economic relationship is founded and forming a platform for negotiating other bilateral agreements. Within the framework of the U.S.-North African Economic Partnership (USNAEP), the United States provided about $1.0 million in technical assistance to Algeria in 2003. This program supported and encouraged Algeria's economic reform program and included support for World Trade Organization accession negotiations, debt management, and improving the investment climate. In 2003, USNAEP programs were rolled over into Middle East Partnership Initiative (MEPI) activities, which provide funding for political and economic development programs in Algeria. In March 2004, President George W. Bush designated Algeria a beneficiary country for duty-free treatment under the Generalized System of Preferences (GSP). In 2007, U.S. direct investment in Algeria totaled $5.45 billion, mostly in the hydrocarbon sector. American companies also are active in the banking and finance, services, pharmaceuticals, medical facilities, telecommunications, aviation, seawater desalination, energy production, and information technology sectors. The U.S. Government continues to encourage Algeria to make necessary changes to accede to the World Trade Organization, move toward transparent economic policies, and liberalize its investment climate. The U.S. also funded a program supporting Algerian efforts to develop a functioning, transparent banking and income tax system. Cooperation between the Algerian and U.S. militaries continues to grow. Exchanges between both sides are frequent, and Algeria has hosted senior U.S. military officials. In May 2005, the United States and Algeria conducted their first formal joint military dialogue in Washington, DC; the second joint military dialogue took place in Algiers in November 2006, a third occurred in October 2008, and a fourth took place in November 2010. The NATO Supreme Allied Commander Europe and Commander, U.S. European Command, General James L. Jones visited Algeria in June and August 2005, and Secretary of Defense Donald Rumsfeld visited Algeria in February 2006. In November 2009, U.S. Africa Command (AFRICOM) Commander General W. Ward visited Algiers and met with Algerian officials, including President Bouteflika. The United States and Algeria have also conducted bilateral naval and Special Forces exercises, and Algeria has hosted U.S. Navy and Coast Guard ship visits. In addition, the United States has a modest International Military Education and Training (IMET) Program ($950,000 in FY 2010 and 2011) for training Algerian military personnel in the United States, and Algeria participates in the Trans-Sahara Counter-Terrorism Partnership (TSCTP). The United States has active outreach programs in Algeria. Direct support to Algeria's educational system includes two university linkage programs to support doctoral programs and career development centers at Algerian universities; and two English Language Fellows, who teach courses and provide support and training for their colleagues at the University of Annaba and the University of Ouargla. The U.S. Embassy also offers English-language support through the private sector: the Embassy currently sponsors 13 English Access Microscholarship schools, which offer 2-year programs focusing on English language, American culture, computer science, and volunteerism for underprivileged Algerian students. The Embassy recently offered Project Hope, which awards free English-language instruction to selected participants. The Ambassador also offered an Arts in the Embassy program through which he invited local artists to display and sell their work at the Embassy. In November 2009, Algeria and the United States reciprocally extended visa duration to 2 years for most visa categories, including tourists, businesspeople, and students. Also in November 2009, the countries finalized language for both a Mutual Legal Assistance Treaty (MLAT) and a Customs Mutual Assistance Agreement. Attorney General Eric Holder signed the MLAT with Algeria during an April 2010 visit. Law enforcement cooperation continues to increase, both in the field of counterterrorism and in countering more conventional transnational crimes. The FBI established a Legal Attache Office at the U.S. Embassy in Algiers in 2008. Funding through the Middle East Partnership Initiative (MEPI (http://mepi.state.gov/) has been allocated to support the work of Algeria's developing civil society through programming that provides training to journalists, businesspeople, female entrepreneurs, legislators, legal professionals, and the heads of leading nongovernmental organizations. The official U.S. presence in Algeria is expanding following over a decade of limited staffing, reflecting the general improvement in the security environment. During the past 4 years, the Embassy has moved toward more normal operations and now provides most embassy services to the American and Algerian communities. The U.S. Embassy (http://algiers.usembassy.gov/) is located at 5 Chemin Cheikh Bachir El-Ibrahimi, Algiers; tel. (213) 770-08-2000, fax: (213) 21-60-7355.